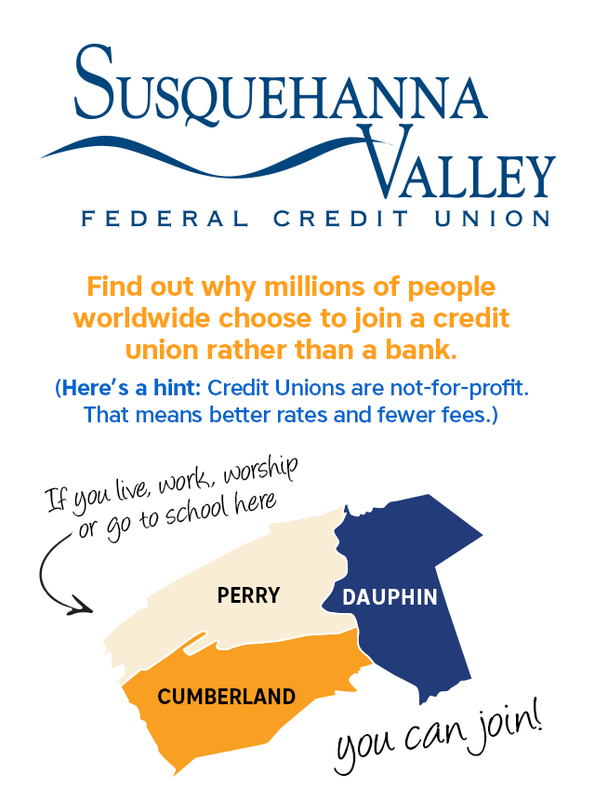 If you know a friend or family member who is not already benefiting from SVFCU services, invite them to join the credit union! Find out why millions of people worldwide choose to join a credit union rather than a bank. (Here’s a hint: Credit Unions are not-for-profit. That means better rates and fewer fees.) If you live, work, worship or go to school in Perry, Dauphin or Cumberland County, you can join! As our way of saying thank you for helping Susquehanna Valley FCU continue to grow, we'll deposit $10 in your account for every member who joins on your referral! Just be sure to remind them to insert your name under "Referred by" when they complete our Membership ApplicationOpens in New Window. There's no limit to how many members you can refer — so start sharing the gift of membership! Here's a little something to help you quickly spread the word and earn some referral cash. Save our "You Can Join" image to your device and share it across your social platforms. Don't forget to remind friends to indicate you referred them when they join!